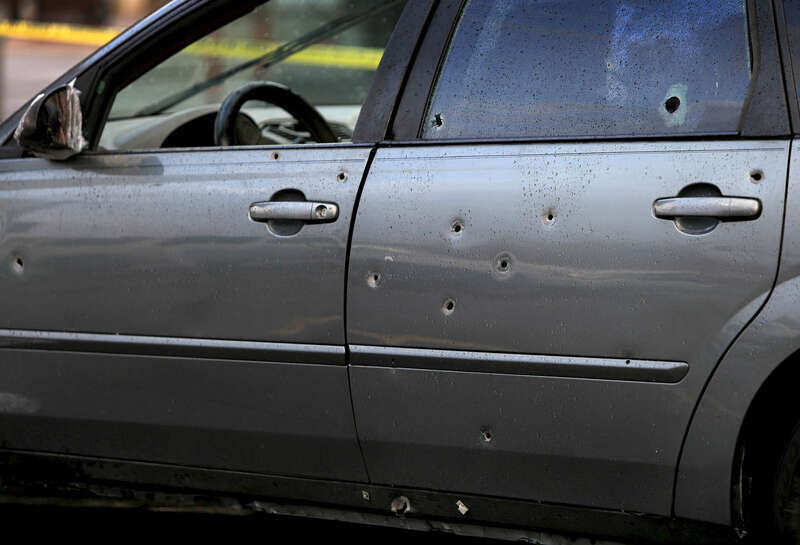 At least 14 bullet hole are visible on the driver's side of the car in a gas station parking lot at Natural Bridge Avenue and Union Boulevard where a man who was shot in the back drove to on Sunday, Nov. 5, 2017. Police say the shooting occurred near Palm Street and Geraldine Avenue around 3 p.m. The man was conscious and breathing when he was taken to the hospital by ambulance. Another passenger in the car was unhurt by the gunfire.